Home > MicroVision Development, Inc.
Found one file extension association related to WebExpress and 1 file format developed specifically for use with WebExpress. WebExpress gets you started with dozens of customizable templates, so you can create professional looking Web sites and be up on the Web instantly. Take orders right from your web site and sell products globally. Post product information, upcoming events, price lists, frequently asked questions and more. 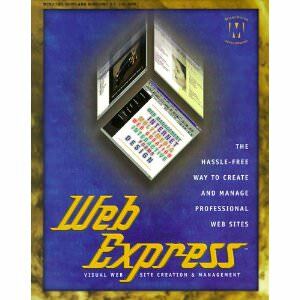 The WebExpress software seems to be old or discontinued. If you need more information please contact the developers of WebExpress (MicroVision Development, Inc.), or check out their product website.